A Facebook Page, best known as “Fan Page” is a public profile where you can share everything with people connected on Facebook. The main goal running a fan page is to share valuable content in order to engage with a specific audience that matches your business goals. Here, I’ll show you in 10 easy and fast steps, how to create a Facebook Fan Page from the beginning. A Name for your Fan page. Sometimes a name comes easy, but sometimes we can’t come up with a name instantly. It’s better to have a name and some variations if the name is already taken. This will let you complete the whole process in minutes. Note: To create a Facebook Page you must have a personal Facebook Profile. If you don’t have one, you can register on Facebook here. Click on the facing down arrow located at the top right in the main menu. Find “Create Page” in the drop-down menu. 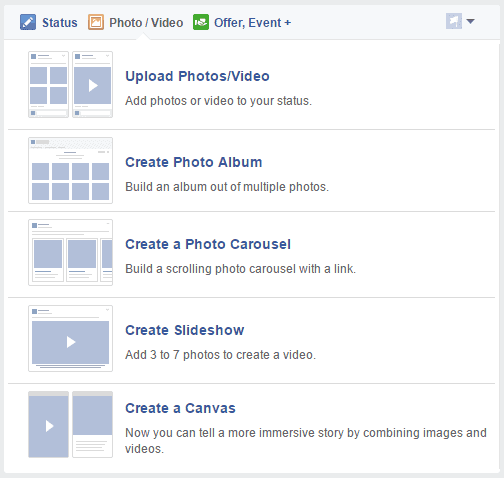 If you want to know how to create a Facebook Fan Page first you have to understand the six different page types. Depending if you want to act as a store, a public figure or a brand is the type of page you must choose. Choose “Local Business” if you own a physical store, a restaurant, a service office, etc. 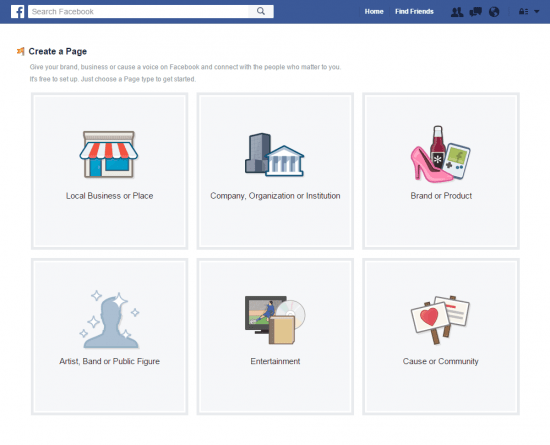 All business that are willing to receive visitors should enter this category, because Facebook will allow you to put your address, open hours, parking options and location with a map. Your visitors also will be able to “check in” your business on Facebook. The page type “Company, Organization or institution” is for businesses that don’t have visitors and also for businesses that have several stores or franchises. E.g. Businesses that offer online services or digital products. Choose “Brand or Product” if you are a brand and your product or your products are sold or will be sold through more than one retailer or website. e.g. Apple, Samsung. For individuals like entertainers, actors, artists or groups like bands that want to promote themselves as public figures the “Artist, Band or Public Figure” is the right choice. The “Entertainment” page type is for businesses that the main focus is to entertain people. E.g. TV Shows, Movies, Books, Magazines, Apps, Games, etc. “Cause or Community” is for fan pages sharing content not related to a business or a product. There are several fan pages sharing content about general topics like beauty, home decor, games, etc. As choosing a page type can be confusing, you can click on each page type and it will appear one or two drop down menus with categories that will help you to find the best page type for you. Once you have decided a page type, click on the picture and you’ll be asked to give a name for your fan page and you’ll have to choose a category that best describes your future fan page. This name is the one that will be displayed as your fan page name but not necessarily the same in your page URL, which you’ll be able to set in the following step. In this part of the process you can add a description of your page which can be changed whenever you want. Also you can add your website URL if you already have one. Also, here you can set your fan page URL. Once you set it, you can only change it one more time. If you want to know how to create a fan page on Facebook you have to consider that you have to upload some images with specific dimensions and quality. It is an easy job to do by yourself using Photoshop and Illustrator in a very basic level, otherwise you can pay a little bit for it. The profile picture size must be at least 180 x 180 pixels, but it will appear on page as 160 x 160 px. Facebook will scale photos under the minimum dimensions. For better results, increase the image resolution at the same scale as the minimum size. e.g. Upload a 1080 x 1080 px image less than 100 KB. In this step Facebook allows you to add your new page to your Favorites list as a shortcut. It will appear in your sidebar menu at the top. This is a new tool recently added that allows you to tell Facebook which audience is most important to your business. Your Facebook fans who fall in your specified group are more likely to see your future posts and connect with you. It’s important to learn how to create a fan page on Facebook but you need to know your business goals first and that includes your target market. Set up Location: You can specify Countries or specific cities. Specify Age: You can add an age range between 18 and 65+. Add specific Interests if necessary. 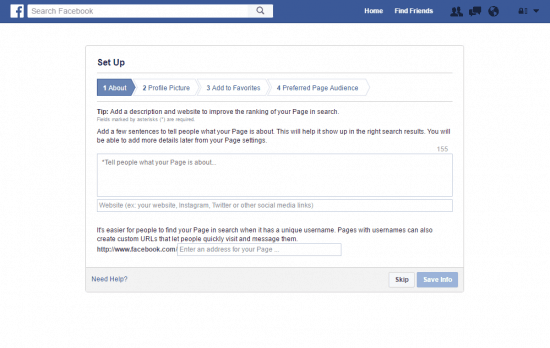 You can target people that already show interest in specific topics or even other popular Fan pages. On your Fan page, click on “Setting” at the top right. Find “Preferred Page Audience” on the left sidebar. Once your Facebook page is created you can add your page cover by clicking on the “Add Cover” button located at the top right, you can find it easily searching a camera icon. A drop-down menu will be shown, choose the option “Upload Photo” if you want to add a picture from your computer. The image for the cover will be shown in 851 x 315 px. It should be at least 400 x 150 px. Remember that Facebook will scale photos under the minimum dimensions. For better results, increase the image resolution at the same scale as the minimum size. Your cover page should be less than 100 KB to avoid resizing. Not everyone knows how to create a Facebook Fan Page taking advantage of every useful tool that Facebook provides like the “Call to Action” Button. Looking at the picture above, you’ll find the “Add a Button” button located on the bottom right of your Facebook cover area. It will show you a set up page for a specific call to action, where you can add the URL of your landing page. Options like “Send Message” will let you set an automated instant reply message for those who left a message in your inbox. While you chose your options you can see a desktop and mobile preview of your call to action button on the right. Now that you know how to create a fan page on Facebook you must add some content to make it look ready for your first fans. At this point you may want to know how to get likes on Facebook Page. You can post text, pictures in different formats, videos and different types of ads on Facebook. If you want to post your welcome text, you just type your message on the white text field always located below your cover at the right. The default post is set as “Status”. Below your text, you can add a picture or several pictures and even video by clicking on the “camera” icon located at the bottom of the text field. You can also add emoticons that express feelings and activities next to your message by clicking on the “happy face” icon. Finally, you can check in a place by clicking on the “check in” typing the place name. You can also schedule a post by clicking “Schedule” option located on the drop down menu. 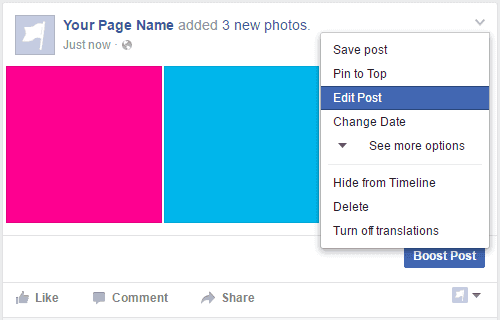 This option allows you to schedule your post and pick a date and time to post it. With the “Backdate” option, you can post something and place it in a specific day and time from the past in your timeline. With the option “Save Draft” you can always save a draft of your post if you need to. If you want to post pictures or videos click on the “Photo/Video” tab to choose from the different options that Facebook offers. The menu is very intuitive and the most popular option is the first one. You can also add text to your pictures and videos from this option. Once you are ready, click on the blue button “Publish”. You can always edit or delete your posts by clicking on the drop down menu on the top right of your post frame. Now you know how to create a Facebook fan page, you must fill it with great and unique content. It’s important to post often to keep your followers engaged with your content. Nice content. It had break down all the points required for making any Facebook Fan Page. Really Great Hardwork you had done in collecting all the points. I too have a Facebook Fan Page for my blog. this was very informative. i read your article about instant articles. which is superb. now i m going to work on that. thanks a lot for helping in such and easy way. otherwise people make it very difficult. i love to learn about your article. This is helpful. 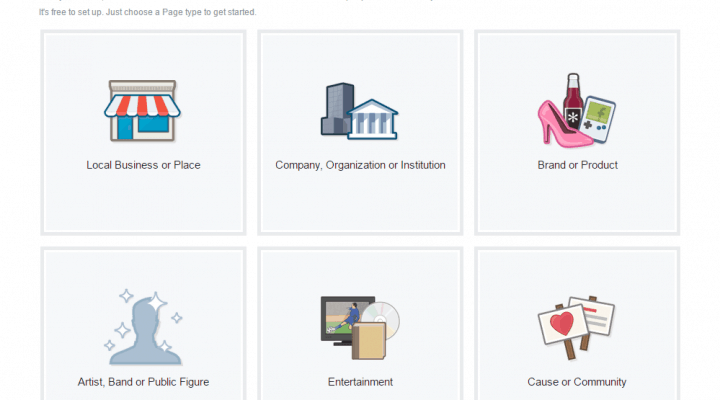 You have very well written and explained in detailed about how to create FB fan page. Each step is so explained in detailed that I probably assumed that everyone now had a fan page. But many business and site owners, do not know the importance of Facebook fan page. So, keeping in mind I have written an article on “Why your business needs a Facebook fan page”. If you like may visit my page …. Thanks a lot for your explanation on how to create a fan page. I did try to do as you’ve suggested but i am stuck with the phone number invalid message. I am from Nepal and I could hardly register my local or mobile number in the phone number options. Do you have any idea, how can i solve it, By the way what is the format for phone number to be entered? You need to enter the number with the country code and area code. Google how to call internationally to Nepal and you’ll see how to add it. Wow! so detailed and step by step. I have already created my “Fan Page’ but I have learnt a lot from this article. Very nice explanation. Here, I have got perfect idea about creating Facebook fan page, Now I will implement on my personal page. Thank You! Hi! I was completely clueless when I first created fan page. And there are not much info. about it on net. This article is very resourceful and will be very much helpful for beginners. Hi! Thank you for reading! I´m glad you find this useful for your business! Keep in touch for upcoming Facebook related articles! Thanks for sharing this information! I have been on facebook for a while and was wondering how to create a fan page for my business to SEPARATE my personal posts from my business posts. I will be implementing your advice and hope that the steps are as simple as you describe. 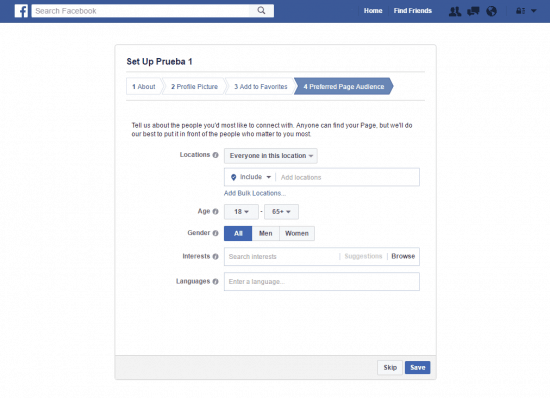 The main goal about this article is to show you how easy is to set up your Fanpage and I bet you can do it in minutes. I really recommend you to do it to share business or professional stuff, but always remember that having a Fanpage is only worth it if you constantly share useful information for your readers.